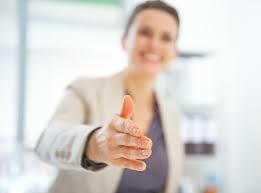 Are you looking for Australian immigration agents in South Africa to assist with your immigration? Then you’ll be happy to hear that Intergate Emigration are located in South Africa. Our immigration agents are licensed and registered with MARA, as required from agents based outside of Australia. MARA is the Office of the Migration Agents Registration Authority and it registers migration agents and regulates the migration agents profession. Some agents based outside of Australia will show you a DIBP number, but this is NOT a license. A DIBP number is only issued for administrative purposes. Always insist on seeing a MARN number. If the agent cannot produce a MARN number, it’s likely that they are not licensed and registered by MARA. Do not use this agent – if anything goes wrong during your application, there would most likely be very little you’d be able to do about it. You can also do a search for any other agent on MARA’s site. 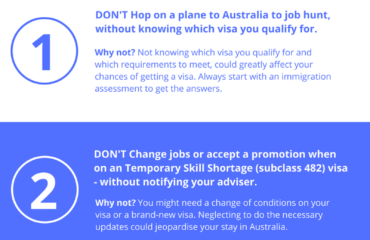 You should never have to part with money for an application without knowing if you’re eligible for emigration to Australia. Don’t get your hopes up, only to be disappointed later. If you are eligible for emigration to Australia, you can choose to proceed with a comprehensive assessment. This assessment results in a written report detailing your emigration options. You’ll know exactly what to do to set yourself up for a successful emigration. Our immigration agents have been through emigration themselves, so they are familiar with the emotions, anxieties, uncertainties, and hard work of emigration. They know exactly what you’re going through! There is no time difference. You can pick up the phone and speak to someone right away. Choose to work with someone in Australia, who’s roughly 9 hours ahead of South Africa, and the picture suddenly looks a lot different. Book your free initial assessment. You’ll hear from someone in our team within 24 hours. We know you want to realise your Australian dreams as soon as possible! Exciting new partnership between Intergate Emigration and Nurture Education International!